Hey everyone! Today I am going to the movies. It's raining, and an overall gross day. I'm wearing my favorite baseball cap, which is an adorable tartan . 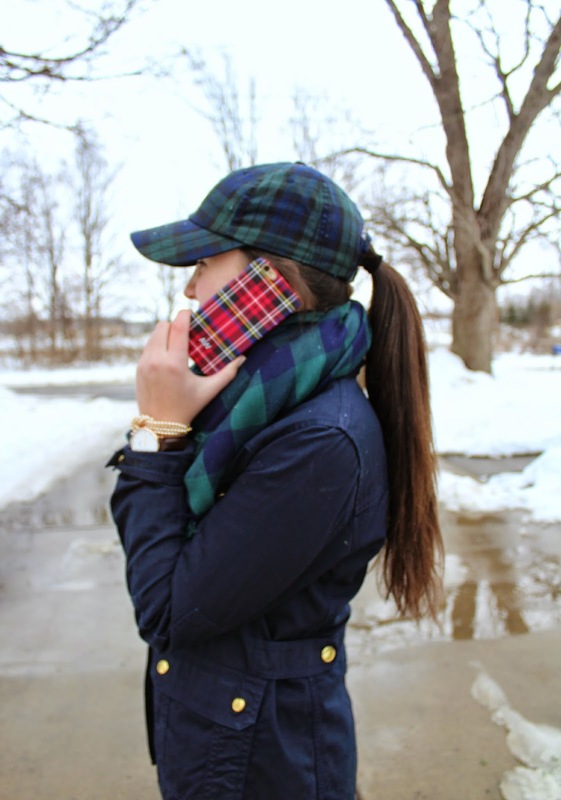 I absolutely adore the navy and hunter green combo and love how perfectly this scarf matches. 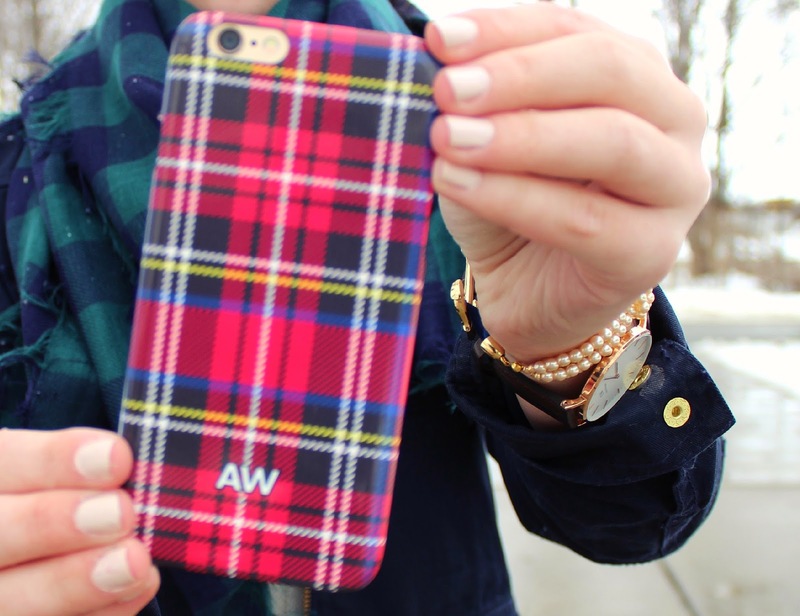 My phone case is also the most adorable plaid, Minnie and Emma collaborated with Grace Atwood and came out with the cutest phone case designs! you should definitely check out the collection on www.minnieandemma.com! Sorry for the lack of photos in tis post, right in the middle of taking pictures it stared pouring rain! Enjoy! 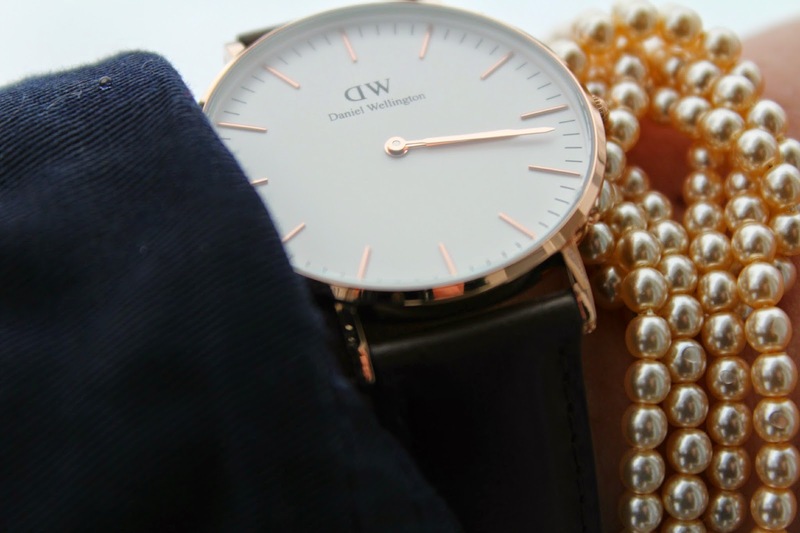 I've been wearing my watch from www.danielwellington.com almost everyday since it came in the mail! Get 15% off on their website using code "belleoftheball"! 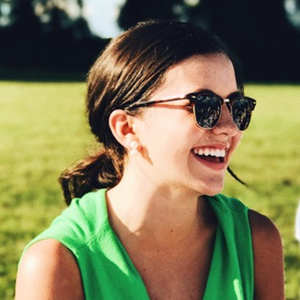 This is such a cute outfit, Abby! 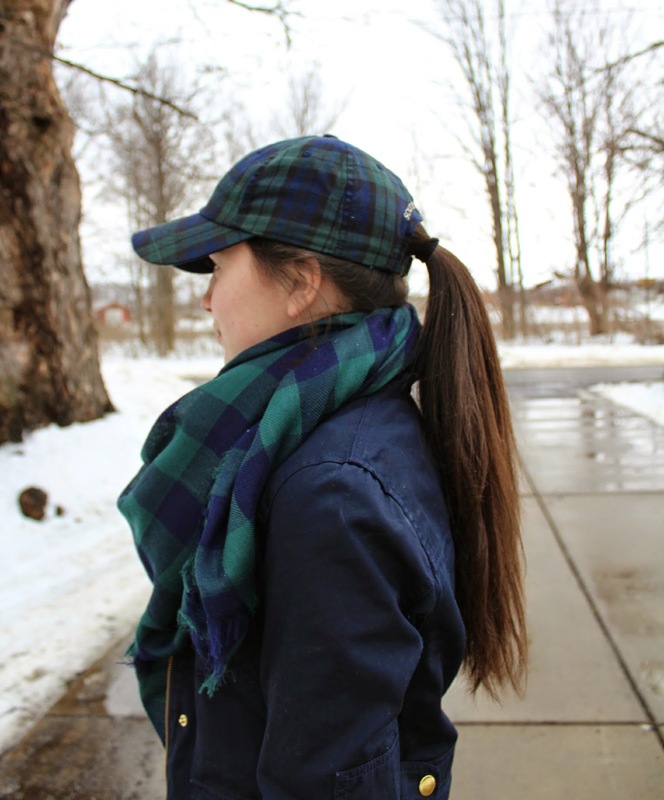 Plaid is definitely a winter essential. 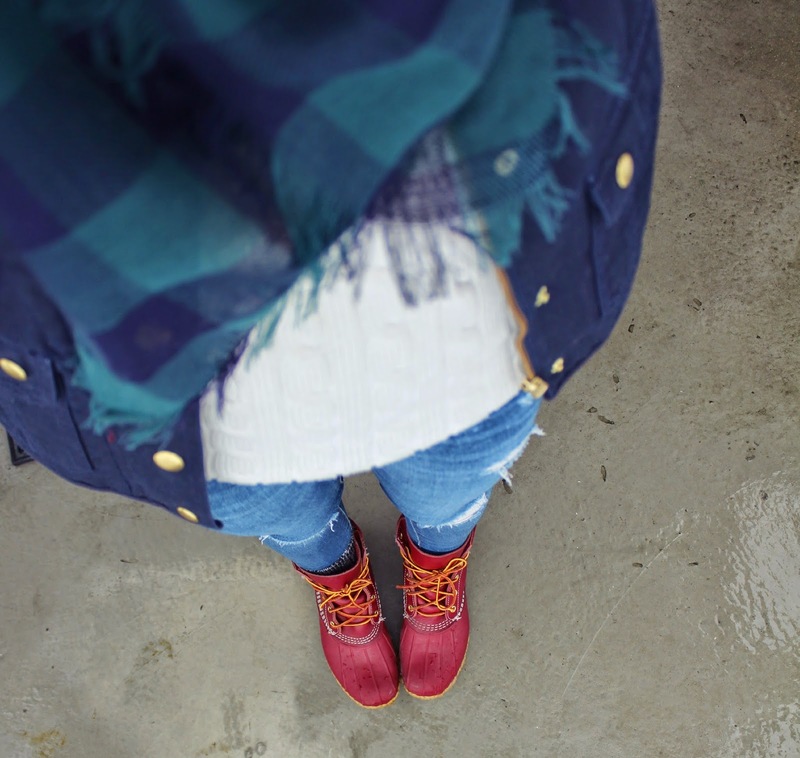 Love those red Bean Boots! Love all the plaid, you look so cute! !